Working in the public and non-profit sectors for the past 37 years, Ray Norrgard has been committed to wetlands and waterfowl. Ray has served in a variety of roles at the Minnesota Department of Natural Resources (DNR), taking a leading role in the development of several wetland programs. This includes, among many others, Reinvest in Minnesota (RIM) – an initiative that has generated tens of millions of dollars annually to restoring wildlife habitat on marginal agricultural lands. Some of the key programs under the initiative include the RIM Reserve and RIM Critical Habitat programs, both of which have served as national models for conservation. Ray has also been a key contributor to several natural resource management plans and reports. He was the primary author of Minnesota’s Long Range Duck Recovery Plan – the most ambitious duck plan in the state’s history. Ray also led the completion of the most comprehensive report to date on the ecology and management of northern wild rice. In addition, Ray has created an extensive legacy of education and outreach in the state, writing articles, conducting interviews, and speaking at clinics and symposiums for youth, adults, and wildlife management professionals. Ray has also volunteered countless hours of his free time to promoting wetlands. This includes working with a citizens group that spearheaded a successful effort to dedicate an increase in the state sales tax to conservation, restoration, and the arts – an increase that generates approximately $160 million annually for the state’s natural resources. 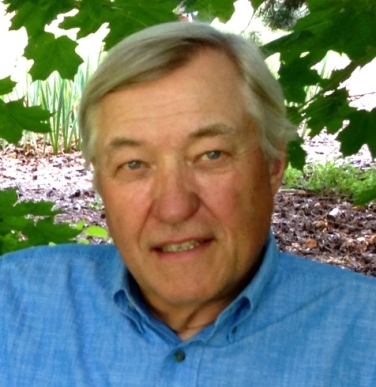 For over 40 years, South Dakota State University Distinguished Professor of Ecology Dr. W. Carter Johnson has been a major contributor to wetland science. This includes significant contributions to the understanding and management of riparian and prairie pothole wetlands. Carter’s papers on riparian wetlands in the Platte, Missouri, and Snake rivers have been influential in the conservation and restoration of those wetlands, winning him prestigious awards from two scientific societies. Carter is also considered one of the world’s leading authorities on the impacts of global climate change on prairie pothole wetlands, and his work has become central to federal and state wildlife agency discussions regarding policy and management responses to the threat of climate change on these wetlands. 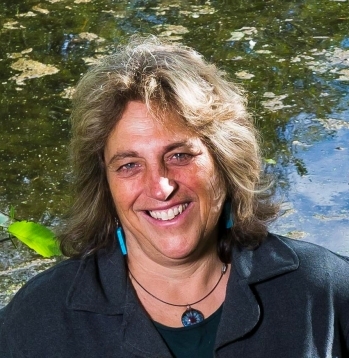 In recent years, Carter has used his understanding of wetlands systems to, among other things, establish a non-profit organization, EcoSun Prairie Farms, that is focused on demonstrating how restored prairie wetlands can provide not only environmental, but also economic benefits. Carter has published approximately 125 peer reviewed articles, books, and book chapters, and was appointed to four National Research Council panels from 1999-2010. 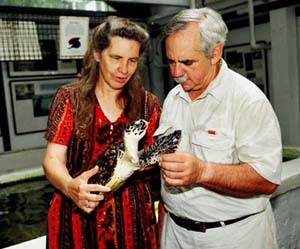 For almost 50 years, Jack and Anne Rudloe have operated an education center from their lab, the Gulf Specimen Marine Lab. The nationally recognized, non-profit center provides members of the public with a hands-on experience in learning about the wetlands and coastline of North Florida, from touch tanks – where visitors can touch living specimens and learn about their role in the local ecosystem – to long field trips trekking through swamps. More than 15,000 people pass through the center’s doors each year. More recently, the Rudloes have taken their education center on the road, launching a mobile unit that has reached 175,000 people so far. The Rudloes have also published extensively on marine life, writing a dozen books, over 30 magazine articles, and almost 90 newspaper columns. Aside from these education and outreach activities, the Rudloes have provided labs from across the country with marine specimens, allowing wetlands and marine life to be studied in more detail. The Rudloes have also been actively involved in preserving the wetlands of North Florida. This includes leading the push for legislative protections of wetlands in the state and contributing to the conservation of more than 35,000 acres of wetlands habitat. While Anne sadly passed away in 2012, Jack continues to work to further their conservation legacy. Mark Abramson has dedicated the last 15 years to protecting and restoring wetlands and streams in the coastal County of Los Angeles. As the senior watershed advisor for The Bay Foundation, Mark has achieved a range of accomplishments, from leading extensive field research to engaging the public in monitoring efforts to leading the implementation of large wetland restoration projects. One of Mark’s most significant accomplishments is the 10-year effort to restore the Malibu Lagoon. The lagoon is one of the last coastal wetlands in the County, which has seen 95% of its historic wetlands destroyed. Mark was involved from the beginning – first by assisting in data collection efforts that spurred the project planning process, and then by co-chairing the 80-member stakeholder planning group, acting as on-site manager and lead biologist, and monitoring the project after it was completed. Throughout the project, Mark volunteered hundreds of hours of his time to ensure the project’s success. The project was completed in May 2013 and, since that time, a diverse community of plants and animals has returned to the lagoon. Mark is also involved in outreach and education activities, and has inspired adults and children alike to become citizen scientists and community activists for coastal habitats and wildlife. To find out about past NWA Winners, click here.